One year after money began flowing from the Surui Forest Carbon Project, the association that administers the project says funds have been used to support 20 different activities in support of climate and community goals, from fish farms to marketing of locally-produced handicrafts. 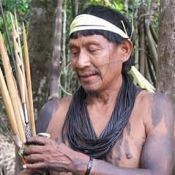 25 February 2015 | The Metareilí¡ Association, which is the community organization that oversees the Surui Forest Carbon Project, has offered a detailed overview of project activities to-date and criticized the Indigenous Missionary Council (CIMI) for posting what it says are false accusations about the project on its web site. In a statement posted in Portuguese here and translated unofficially to English here, the association said that money raised from the sale of forest carbon credits is already flowing to roughly 20 initiatives, most of which were laid out in the 50-Year Management Plan that the carbon project was created to support. According to CIMI, indigenous people should be shielded from all aspects of the market economy. CIMI’s complaints about the Surui project were based on an interview with a Surui member who is involved in the sale of illegally harvested timber from the Surui territory. Disbursements of project funds are disbursed and monitored by the Brazilian Biodiversity Fund (FUNBIO), an independent, environmental fund manager based in Rio de Janeiro. The Surui Forest Carbon Project is currently undergoing an audit to verify compliance with provisions of the Climate, Community, and Biodiversity Standards. While defending the carbon project, the Metareila statement does acknowledge the need for improvements. “Despite the project management efforts so far, it is necessary to achieve greater flow of information in the villages on collective financial management, on the management of local associations, on benefit distribution mechanisms, and on the time it takes a community project to mature and produce results,” it said.